Every year, buyers for the major stores and local toyshops in the South of England get together at the Earl’s Court Toy Fair and decide what to order for the 1987 Christmas market. This year it was over run by Lasers. There were lasers that fired at each other, some that fired at tanks, others that fired at targets and those that fired at television screens. What’s more — there wasn’t a single laser in the entire exhibition! Confused? well so was I! The story goes along these lines: this year the toy industry has decided that you and I are all going to buy ‘laser’ guns for Christmas. But none of these ‘laser’ toys feature real lasers — instead they use a system like the one used in a television remote control. 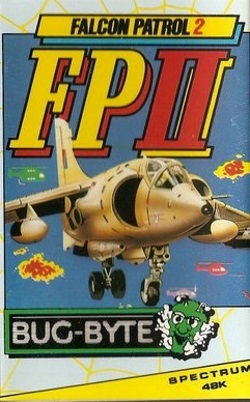 Several games of this type will be available later this year, including Laser Gun from Ban Dai, Zillion from Matchbox, and Laser Combat from Action GT. With this type of gun you need two players for maximum fun. The one with the gun goes seeking after the target wearer, and fires at him whenever the target is in view. 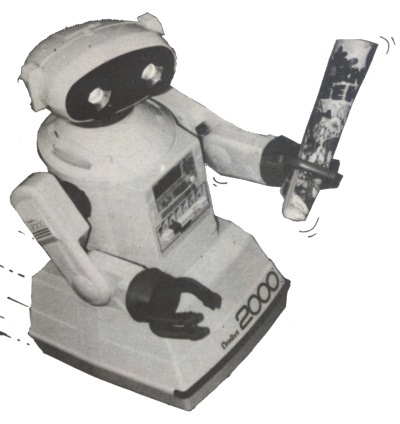 The final variation on the theme was the Laser Challenge, which is the nearest that the toy companies have yet come to making an arcade game. This package contains a gun and a video tape. This tape depicts a number of moving characters which you attempt to shoot. Scoring is registered on the gun itself, with different colours indicating differing values. There were other new games on show besides the lasers. There were dolls by the million, including cassette-based models with lips that talk in time to the words on the cassette. As you’d expect there were cuddly bears by the hundred — but what I didn’t expect was a cuddly computer screen. MB Games were showing Animator; an LCD screen which allows you to draw and animate pretty pictures. I suppose that it’s a cross between The Art Studio and an Etch-a-Sketch — but not half as much fun! There were a couple of computers at the show. 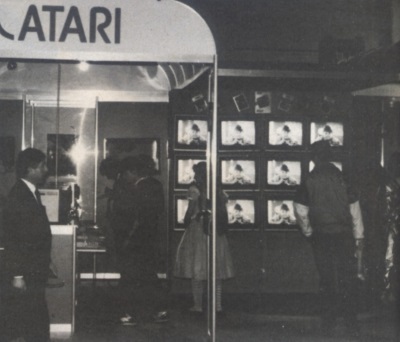 The first was the Nintendo Games Console on the Mattel stand, and the other was on the stand of the only mainstream computer manufacturer at the show — Atari. The Nintendo made a huge impact in Japan last year, and a few software houses are already planning to support this machine when it starts to sell in Europe. This console has special cartridges that use a robot assistant (R.O.B. — your Robotic Operating Buddy!) to help you play the game. Atari were proudly displaying their 2600 games console — yes it’s that machine again, the original Atari. 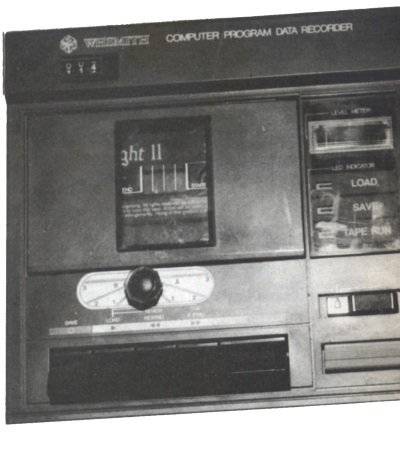 They also had the 130XE computer, newly described as a Games Computer and the brand new 65XE Games Computer. What is particularly interesting about this machine is that it is basically an Atari computer with a cartridge socket and no keyboard, but it can be built up into a full computer system with a range of add-ons available. In all there was plenty to see at this year’s fair, and plenty that you will be seeing on Television later in the year. Budget masters Mastertronic are entering the full-price market with a bang — they’ve just bought Melbourne House. The details are secret, but Melbourne House claim they were paid a seven-figure sum — making this one of the biggest takeover deals in the history of the industry (in financial terms, at least). Both houses plan to publish software under their own names; and Beam Software, a separate company owned by the founders of Melbourne House and responsible for many of Melbourne’s products, will carry on developing programs for the label. Mastertronic has been looking to acquire a ‘full-price’ software house for some time, a company spokesman said, and they were impressed by Melbourne House’s product plans. But this doesn’t mean Mastertronic will change their own policy on budget games. Mastertronic are selling up a new arcade-games division, Arcadia Systems Inc. This will concentrate on making coin-op video games — but Arcadia’s arcade games could find their way into Mastertronic’s product range. Mirrorsoft are empire-building, too. Their parent company, Pergamon Press has acquired two US software houses, Spectrum Holobyte Inc and Nexa Corporation. And, closer to home, the group has conquered wargames specialists PSS. Gary Mays, joint managing director of PSS, is happy about the move — it’ll give his company guaranteed distribution and financial security for new projects, he says. PSS plans include Battlefield Germany, a wargame set at the beginning of World War III in Europe, and Bismark, a simulation of the famous World War II naval action. They’re also planning a Spectrum version of Tobruk that will be playable by two people, each sitting at their own machine networked through the joystick port. The Spectrum version should feature an arcade sequence, and is intended to appeal to a much wider market than the wargamers who have traditionally been the main supporters of PSS games. Two games until now only available at full price have been rereleased on budget labels. 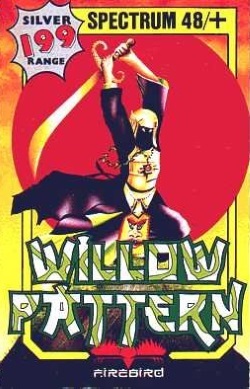 Virgin’s Falcon Patrol II has resurfaced on the £1.99 Bug Byte label and Willow Pattern has gone from Super Silver to Silver — getting a pound cheaper in the process. Arkanoid from Ocean arrived just too late for review. It’s a micro version of the arcade hit and marks the return to popularity for Breakout-type games. Breakout originally appeared in the dim and distant past at the dawn of the arcade industry. Arkanoid adds lots of extra features, including aliens, indestructible bricks, bricks that only disappear after three hits, and bricks that release bonus pods. Hitting a bonus pod causes changes... the bat may grow larger, turn into a laser or become sticky, and sometimes you can choose to go on to the next level. Mark Smith, winner of the Hewson City Slicker competition sits at the feet of his hero, Daley Thompson — well actually a waxwork of the world-champion breaking decathlete at Madame Tussaud’s. Mark was treated to a whirlwind tour of London, escorted by our very own Girlie Tipster Hannah Smith and the wonderful Julia Coombs from Hewson. The end of tape azimuth problems is in sight according to Load-It. If you send them your cassette deck together with £9.95 they’ll fit a little azimuth-tweaking knob before sending it back. Then, when a tape fails to load, you can twiddle the azimuth knob until you get the clearest tone from the loudspeaker. A scale around the knob can be used to read off the optimum setting for that game — make a note of the number on the inlay card, and the azimuth knob can be set to the best position whenever that game is loaded again. After a short lull in their packed schedule of releases, Piranha are getting ready to launch another batch of games into the Spectrum universe. Don Priestley, creator of Popeye and Trapdoor, is developing another game in which Berk has to get to work — Trapdoor II. A game based on the Royal Family is on the drawing board, too, as well as the official Yogi Bear licensed game, scheduled for summer release. The top talents of Delta 4 are going to work on a spoof adventure, The Great American Detective, and Piranha have acquired two more licences — Judge Death and Roy of the Rovers. If something’s worth doing well, it’s worth doing again! That could be the motto of the GENESIS design-a-game contest we ran together with Domark last year. And now, following the Christmas success of the first GENESIS game (Kat Trap), comes another winner — The Sewer, from 16 year-old Martin Lee of Exeter. Martin visited Domark’s South London HQ to discuss his plan with Graham Stafford of Design Design, who’ll be responsible for the programming. The game’s a blend of subterranean strategy and arcade action — you race against time to rescue work men trapped by rising water, acid and the unfriendly rats and leeches of the underworld. Graham Stafford will be coding on the Amstrad — he reckons it makes conversions easier — but don’t worry. The Sewer will be released for the Spectrum too.